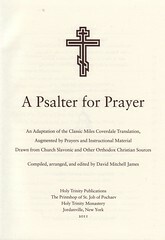 Click here for sample verses from the Psalter by David Mitchell James. 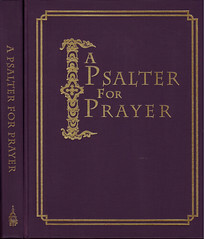 Title: A Psalter for Prayer. 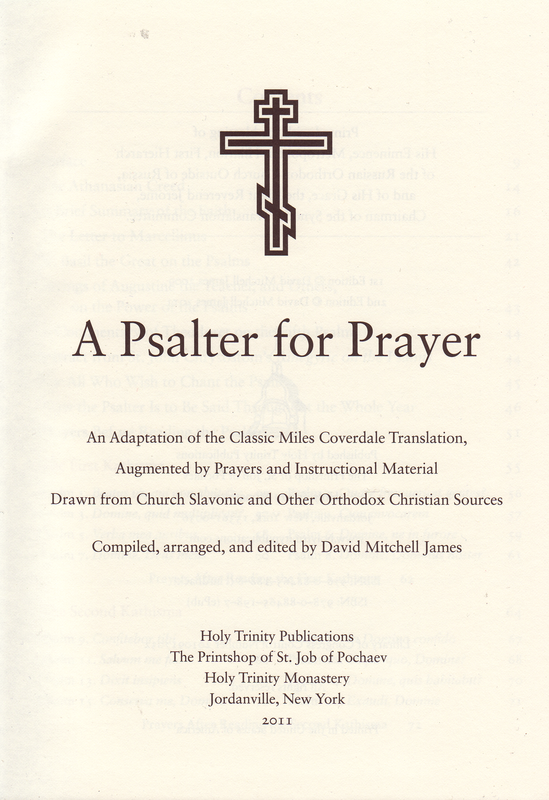 An Adaption of the Classic Miles Coverdale Translation, / Augmented by Prayers and Instructional Material / Drawn from Church Slavonic and Other Orthodox Christian Sources. Contents: Psalms 1–151 subdivided in 20 Kathismata ☦ Preface ☦ The Athanasian Creed ☦ A Brief Summary of the Faith ☦ The Letter to Marcellinus ☦ St. Basil the Great on the Psalms ☦ Sayings of Augustine the Teacher, and Others, on the Power of the Psalms ☦ A Commentary of Theodoret on the Fifth Psalm ☦ Extract from St. Chrysostom‘s »Panegyric on the Psalms« ☦ For All Who Wish to Chant the Psalter ☦ Prayer After Reading the 20th Kathisma ☦ The (Nine) Canticles ☦ Prayers After Reading the Psalter ☦ The Megalynaria & Selected Psalms for the Principal Feasts ☦ The Rite Chanted Following the Departure of the Soul from the Body ☦ Reading the Psalms for the Departed ☦ The Commemoration ☦ The Rite for Singing the Twelve Psalms ☦ From the Fathers Concerning the Cell Rule ☦ The Hymn of St. Ambrose, Bishop of Milan ☦ Appendix: The Numbering of the Psalms. 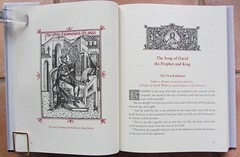 The Scripture text is illustrated with black and white drawings taken from icons of the Orthodox Church and embellished Psalms–Initials. A true treasure of Psalms and Prayers designed for the Orthodox Christian liturgy and a carefully crafted book, also suited for the lectern.